Committed to providing quality, affordable medicine from known trusted sources. THC is focused on our patients’ experience, from phone call through medication. We promise the lowest possible prices, consistently! We have educated employees, who take time to get you the correct medicine, for your specific needs. We offer mid, upper mid shelf and a few top shelf quality flower, at very affordable donations. 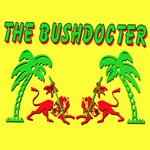 We are here to serve you, our members, with dignity, discretion, and consistent reliability. Last intake for same day new patients is 9pm daily, to allow us sufficient time to process and verify you, offer consultation regarding your needs, and provide timely delivery during our normal business hours. We appreciate your understanding. Operating in complete and strict compliance w/ prop 215, SB420. Sparket is a recreational cannabis shop in Port Angeles, Washington, serving all medical needs of patients. 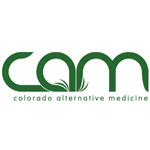 Based in Denver, Colorado Alternative Medicine (CAM) is a dispensary that serves both the medical marijuana and adult-use markets. The company took second place at the 2014 US Cannabis Cup in Denver for their Raskal OG.